In case you were not aware of it, the best theme for KDE4 is Bespin. Not Oxygen, not qtcurve. 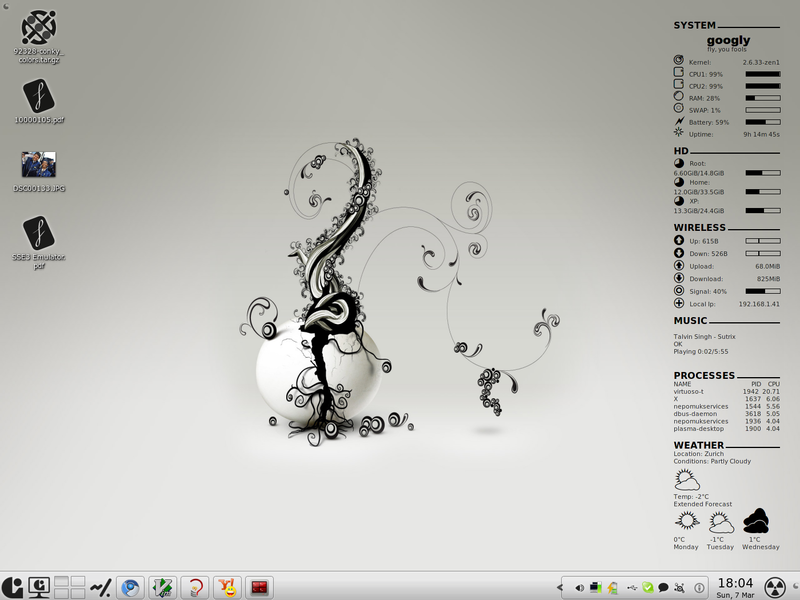 You might say that themes are like desktop wallpapers – to each his own. I would disagree. KDE4 brought along a slew of improvements and new paradigms to the Linux Desktop Environment and in its small way Bespin does that as far as theming on the desktop is concerned. 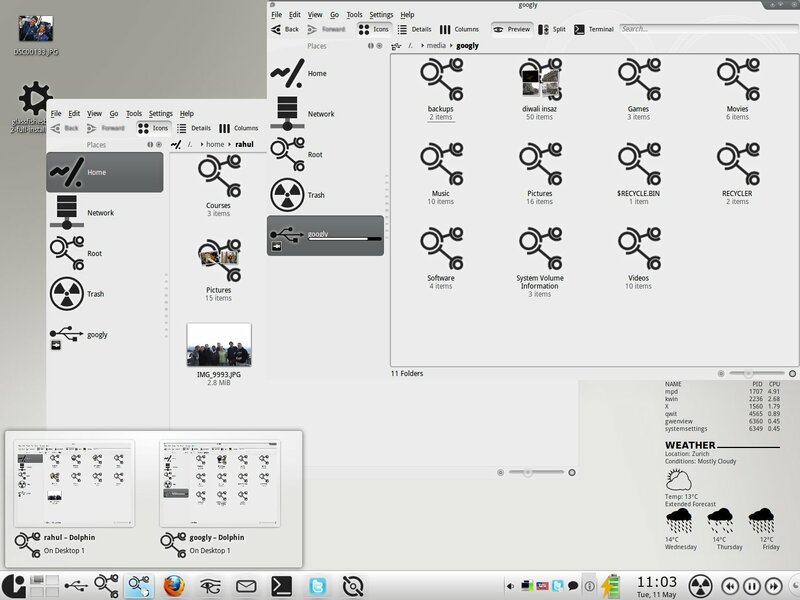 Insanely customizable, it will allow your desktop to have the sort of look that you will fall in love with it. So, go ahead and try it! Most popular distros have a package for it. 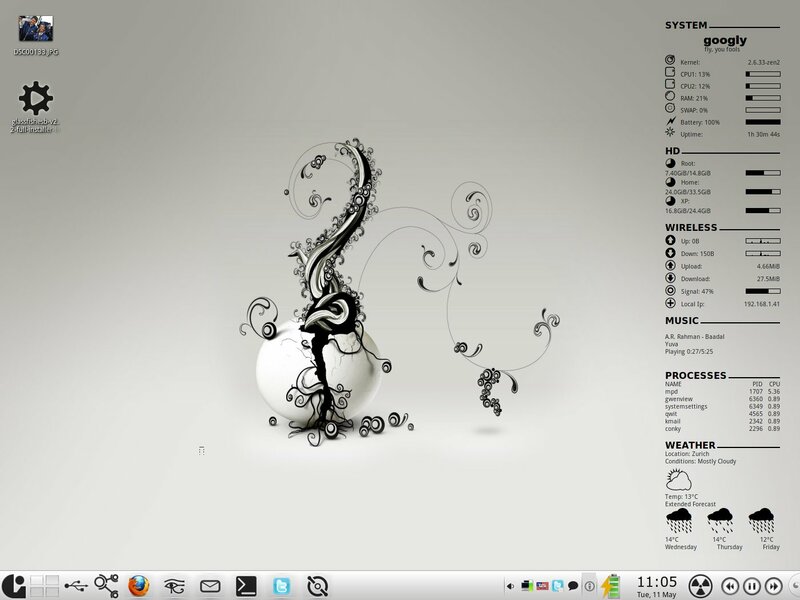 For Gentoo grab it from the kde-testing overlay (x11-thems/bespin-9999).